Rates include drinks throughout the day – tea, coffee, soft drinks and local alcohol, afternoon tea with cake. There are eight bedrooms at Ellerton. Three are in the Main House – i.e. the original colonial bungalow. All have separate bathrooms, with a bath, but the shower is over the bath. One is a double room, and the two others have beds that can be separated to make them either double or twin. In addition, these two rooms have a separate second single bedroom, so very useful for guests with children, or of course three adult friends who are happy to share. The main house also features the large dining room that seats 12. . Then, in the "Valley House", by the swimming pool, there are three rooms. Two are large double rooms, and both of these have a big bathroom with bath and a separate walk-in the shower. The third room in the Valley House is our smallest room, and is also adaptable between a double and a twin. However it only has a shower and no bath-tub. These three rooms open out onto the large Valley House veranda, which is a favourite of guests to chill out under the shade. 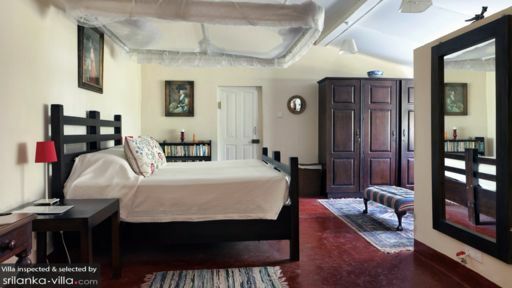 Then there are the two "Garden Rooms" which are identical and generous independent double rooms, each with bath and walk-in shower and the advantage of their own balconies looking down the Valley. Rates at the Ellerton Bungalow include use of all facilities, such as bicycles; croquet; table tennis and a wide variety of indoor games; drinks, including alcoholic, throughout the day; local phone calls; tea and coffee whenever needed; accommodation for a driver; service charge and all government taxes. The only extras are thus lunch, dinner and laundry. The adventurous diners may want to try the special buffalo curd with tickel syrup. 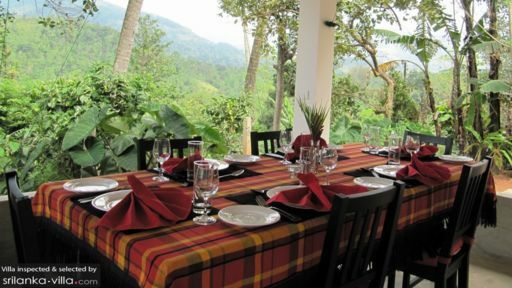 It is excellent opportunity to sample the gastronomic delights that Sri Lanka has to offer. One of the attractions of Ellerton are the fantastic walks and bicycle rides that are available right from the front door, which go from 30 minutes up to most of the day if one wants. 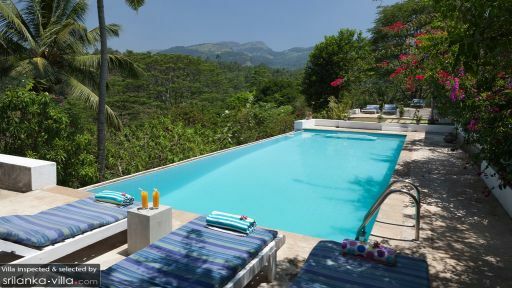 There are many local attractions, such as personal tours round a family-owned tea factory; tuc-tuc rides through local tea estates; going on the very fine train up into the hills; as well as all the normal sights and attractions of Kandy. Breakfast and dinner are generous meals, most guests only have a snack lunch of sandwiches; omelette; salad etc, what is about US $10. Full lunch will cost US$ 20. Dinner is a generous three course meal of which the main course is either Western cuisine or local Curries – in this case a "meat" curry together with 5/6 vegetable curries. Price is US $30 per person per dinner which includes pre-dinner cocktails; all drinks with dinner, including good-quality imported wine.